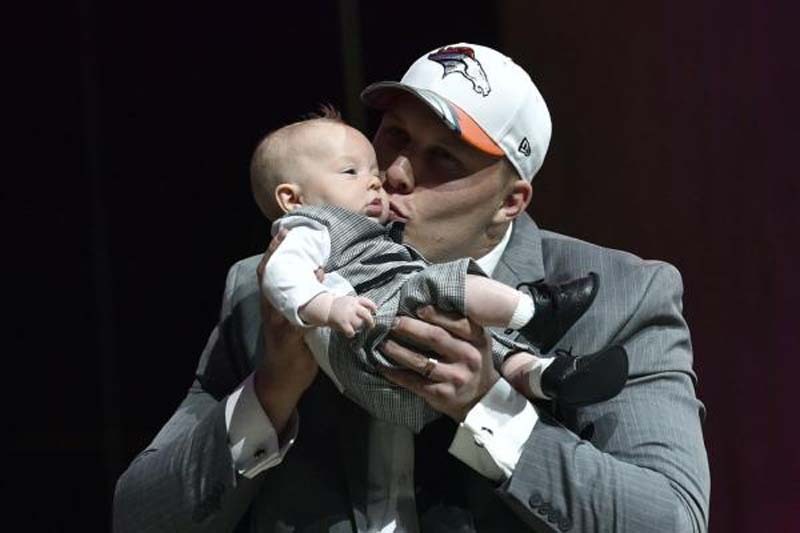 Denver Broncos offensive tackle Garett Bolles is entering his second season in the NFL, and one of the biggest adjustments he has made is adding some weight to his already sizable frame. "I feel more explosive and powerful [at that weight]," he said. "Probably no more than about 308 is what I'm feeling. I feel confident there. My body feels good and I'm looking forward to the season." The Broncos are counting on the former first-round pick to take a huge step forward in his sophomore campaign. "Year 1 is different from Year 2," he said. "'This is where you make your big leaps and bounds is what everyone tells me." "Just going out there and playing fast is the thing I'm going to focus on, which is going to help me stay focused," he said. "Also, to move my feet. We changed up our pass sets and everything like that with [offensive line-tackles coach Chris] Strausser. He did a great job with all of our tackles. Just trusting him, trusting in the process and knowing that if my feet get there before my hands I'm going to be alright."